TVS Apache was a well received bike since the time it was launched in India and had gained huge number of Apache loyalists. However, since last year when Apache got a facelift, the sales have been down and its good that TVS realized it soon. 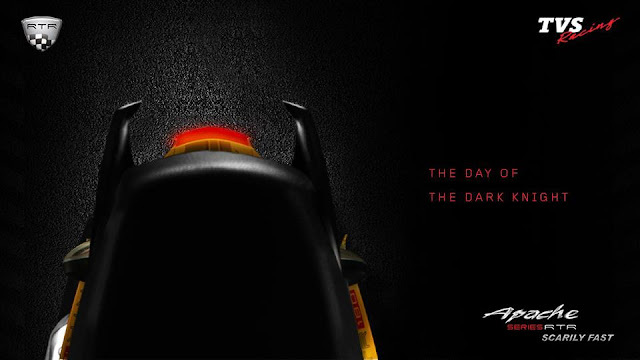 In order to come back into the competition, the home grown bike maker has recently revealed the teaser images of the new bike on its facebook page as well as on its website. Two of the teaser images read “The beast seeks a new skin” while the other one says “The day of the dark knight”. In one of the images, the current body elements are being axed out which means it could be something with less clothes. The TVS Apache RTR 180 is powered by a 17.05 bhp 177.4cc single cylinder engine. A hike in the power output will be a welcome addition. 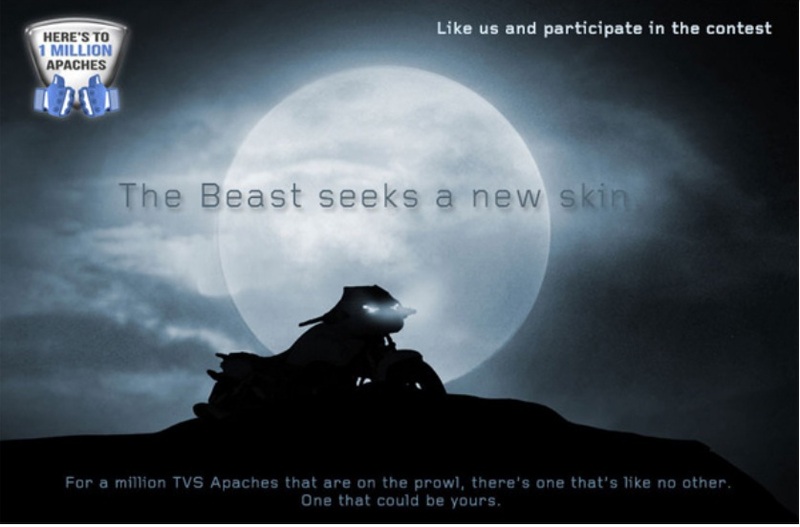 Stay tuned to know more about the new upcoming TVS Apache RTR.